January 24, 1999 A crewman was lost overboard from the 100 foot steel crab fishing vessel West Point 30 miles SE of Saint George Island. January 30, 1999 The 36 foot Kavkaz iced up and capsized in rough weather a mile and a half from Point Pogibski in Kachemak Bay with two brothers on board. No sign of the two crewmen was found by the responding vessels. Sometime later, the fishing vessel Arizona was able to tow the overturned hull of the Kavkaz to a sand beach where U S Coast Guard Divers from the cutter Roanoke Island were able to enter the vessel from beneath. They found the two unresponsive crewmembers of the Kavkaz in survival suits in the bow. A hole was cut through the bottom of the vessel to gain access and the two crewmembers were removed. Feodor Sanarov was lost, but his brother Anton Sanarov survived in the overturned hull, unconscious and severely hypothermic. 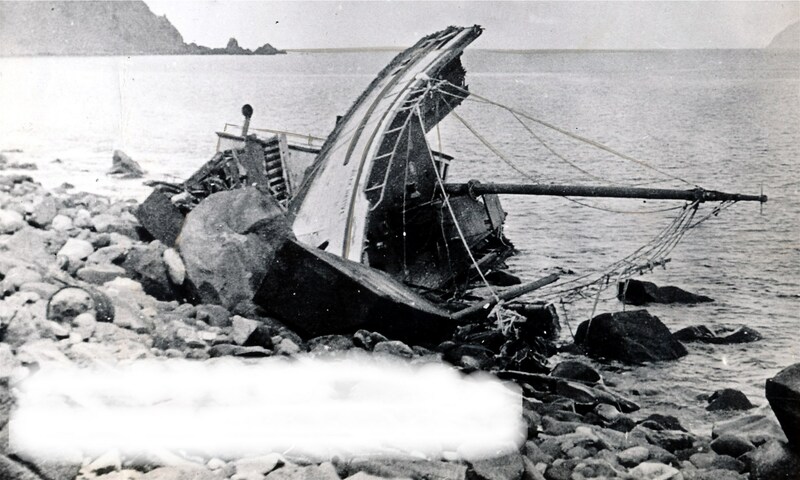 February 3, 1999 Captain Edward Cantrell was lost and crewman Neil Marolt was rescued when the 30 foot wooden longline cod fishing vessel Northern Aurora capsized from severe icing and washed up on the beach at Fox Island, Resurrection Bay. February 23, 1999 Michael (Mongo) Lyda (31) was lost overboard when struck by a crab pot aboard the 148 foot Sea Fisher. Lyda was a Seattle native and long time commercial fisherman. March 18, 1999 The 96 foot Lin-J capsized in heavy icing conditions eight miles northwest of Saint Paul Island. The entire crew was lost including captain Blake Kinnear (50), Jason Conlon (24), Mark Shane Hill (45), John McKerley (39) and Aaron Miller-Moylan. April 22, 1999 Scott Weismantel (34) was missing and was presumed lost from the 28 foot sport fishing vessel Sea Wolf in the vicinity of Kizhuyak Bay. June 17, 1999 Two crewmembers were hit and one died when a boom fell aboard the 41 foot salmon fishing vessel Orion in Kitoi Bay, 24 miles north of Kodiak. July 23, 1999 Ronald A Luke (27) of Iliamna was lost from the fishing vessel Second Chance when he went overboard attempting to cross between two vessels at Naknek. The tragedy was alcohol related. July 27, 1999 An unnamed 25 foot setnet skiff capsized in bad weather in Uganik Bay between Village Island and West Point while picking an over full net. Two crewmembers were rescued from the water by the fishing vessel St Joe and then hoisted to a U S Coast Guard Helicopter. One later died in the hospital. A third crewmember was never found. July 28, 1999 A crewman from the salmon fishing vessel Defiance slipped, fell overboard and was lost crossing between moored vessels at the dock in Ketchikan. The tragedy was alcohol related. October 31, 1999 One person was lost from the 120 foot steel crab fishing vessel Sunset Bay while on deck alone in bad weather 280 miles SE of Kodiak in the Gulf of Alaska. November 12, 1999 The 52 foot steel longline halibut fishing vessel Becca Dawn sank in rough weather on the Fairweather Fishing Grounds west of Yakutat in the Gulf of Alaska. Three of her four crewmembers were rescued by a U S Coast Guard Helicopter, but 21 year old crewman Olen Nash was lost. December 9, 1999 12 persons were lost and 24 rescued when the 190 foot Anyo Maru No 1 sank in the Bering Sea 120 miles south of Cape Navarin, Russia. It is obvious this is a large task to compile and it is also a labor of LOVE. Thank You again Pogo for making this all possible. I believe it was John McKerley on the Lin-J. He was a good man, RIP. Thank You once again for your editorial vigilance. This work is evolving and in need of constant correction. I am editing on a daily basis and will email a copy of today’s update. Smooth Sailing to You and Yours. Thank you for saving one of my brothers. .still missing my other brother every day. . Thank you .my brother Anton still missing our brother and sad part is it happen on my brother Anton birthday so he doesn’t want any of his family to say happy birthday cause it’s the saddest day for Anton and all of us our brother Fedora is a grandfather of three beautiful kids one boy and two beautiful girls . F/V ALSKA March 12, 1999 ??? This is the loss of life section of this site. As all of the crew survived the tragedy, the Alska is in another area. The Alska is listed in the A to Z Section where all the boats are listed. Just click on the letter A and scroll down. I also posted a picture of the Alska that I took in Kodiak. The Alska is also listed in the Chronological Section in the 1990 to 2000 area.